A team of astronomers has used the new ALMA (Atacama Large Millimeter/submillimeter Array) telescope to pinpoint the locations of over 100 of the most fertile star-forming galaxies in the early Universe. 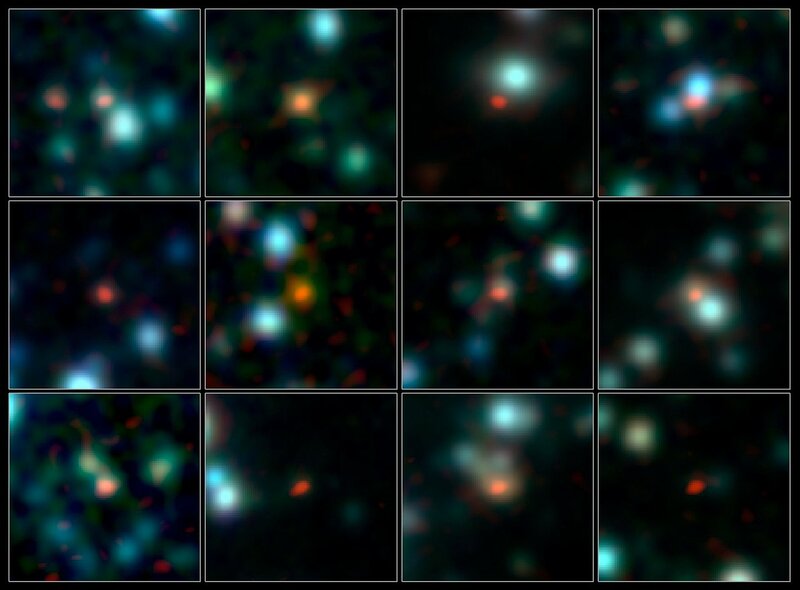 ALMA is so powerful that, in just a few hours, it captured as many observations of these galaxies as have been made by all similar telescopes worldwide over a span of more than a decade. The most fertile bursts of star birth in the early Universe took place in distant galaxies containing lots of cosmic dust. These galaxies are of key importance to our understanding of galaxy formation and evolution over the history of the Universe, but the dust obscures them and makes them difficult to identify with visible-light telescopes. To pick them out, astronomers must use telescopes that observe light at longer wavelengths, around one millimetre, such as ALMA. 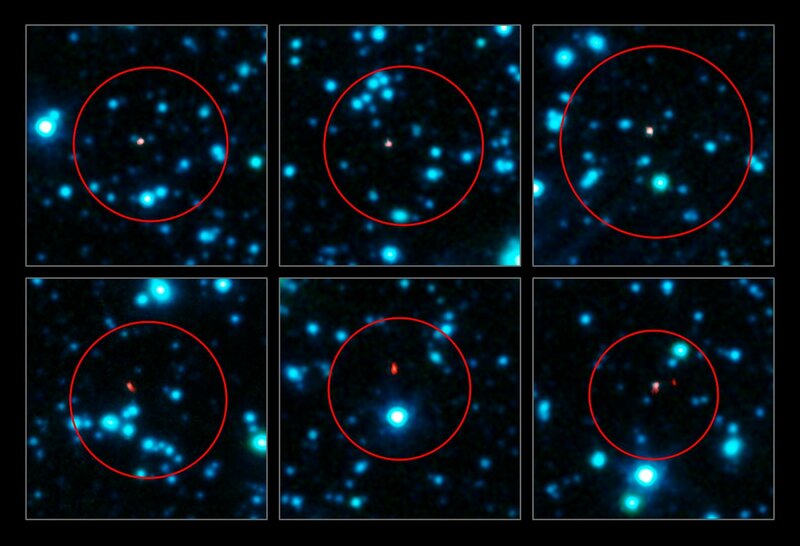 “Astronomers have waited for data like this for over a decade. ALMA is so powerful that it has revolutionised the way that we can observe these galaxies, even though the telescope was not fully completed at the time of the observations,” said Jacqueline Hodge (Max-Planck-Institut für Astronomie, Germany), lead author of the paper presenting the ALMA observations. The best map so far of these distant dusty galaxies was made using the ESO-operated Atacama Pathfinder Experiment telescope (APEX). 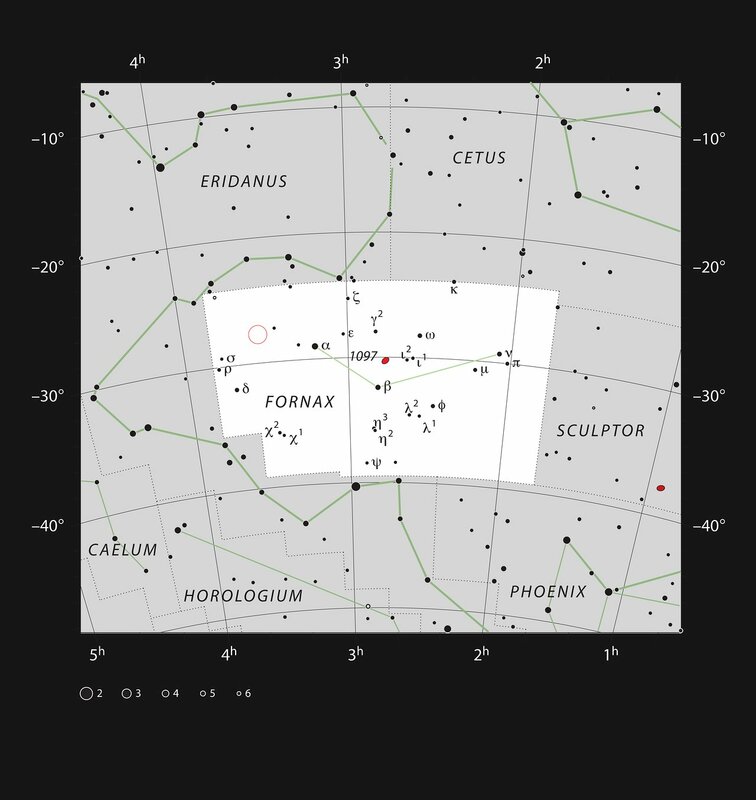 It surveyed a patch of the sky about the size of the full Moon , and detected 126 such galaxies. But, in the APEX images, each burst of star formation appeared as a relatively fuzzy blob, which may be so broad that it covered more than one galaxy in sharper images made at other wavelengths. Without knowing exactly which of the galaxies are forming the stars, astronomers were hampered in their study of star formation in the early Universe. 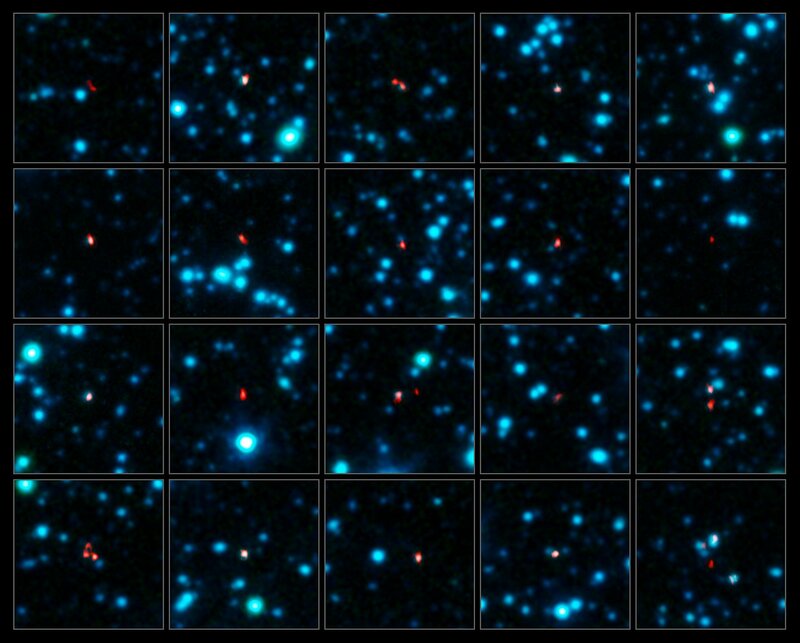 Pinpointing the correct galaxies requires sharper observations, and sharper observations require a bigger telescope. While APEX has a single 12-metre-diameter dish-shaped antenna, telescopes such as ALMA use multiple APEX-like dishes spread over wide distances. The signals from all the antennas are combined, and the effect is like that of a single, giant telescope as wide as the whole array of antennas. The team used ALMA to observe the galaxies from the APEX map during ALMA’s first phase of scientific observations, with the telescope still under construction. Using less than a quarter of the final complement of 66 antennas, spread over distances of up to 125 metres, ALMA needed just two minutes per galaxy to pinpoint each one within a tiny region 200 times smaller than the broad APEX blobs, and with three times the sensitivity. ALMA is so much more sensitive than other telescopes of its kind that, in just a few hours, it doubled the total number of such observations ever made. Not only could the team unambiguously identify which galaxies had regions of active star formation, but in up to half the cases they found that multiple star-forming galaxies had been blended into a single blob in the previous observations. ALMA’s sharp vision enabled them to distinguish the separate galaxies. “We previously thought the brightest of these galaxies were forming stars a thousand times more vigorously than our own galaxy, the Milky Way, putting them at risk of blowing themselves apart. The ALMA images revealed multiple, smaller galaxies forming stars at somewhat more reasonable rates,” said Alexander Karim (Durham University, United Kingdom), a member of the team and lead author of a companion paper on this work. The results form the first statistically reliable catalogue of dusty star-forming galaxies in the early Universe, and provide a vital foundation for further investigations of these galaxies’ properties at different wavelengths, without risk of misinterpretation due to the galaxies appearing blended together. Despite ALMA’s sharp vision and unrivalled sensitivity, telescopes such as APEX still have a role to play. “APEX can cover a wide area of the sky faster than ALMA, and so it’s ideal for discovering these galaxies. Once we know where to look, we can use ALMA to locate them exactly,” concluded Ian Smail (Durham University, United Kingdom), co-author of the new paper. 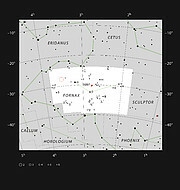 The observations were made in a region of the sky in the southern constellation of Fornax (The Furnace) called the Chandra Deep Field South. It has been extensively studied already by many telescopes both on the ground and in space. The new observations from ALMA extend the deep and high resolution observations of this region into the millimetre/submillimetre part of the spectrum and complement the earlier observations. The Atacama Pathfinder Experiment (APEX) is a collaboration between Max Planck Institut für Radioastronomie (MPIfR) at 50%, Onsala Space Observatory (OSO) at 23% and the European Southern Observatory at 27%. This research was presented in the paper “An ALMA Survey of Submillimeter Galaxies in the Extended Chandra Deep Field South: Source Catalog and Multiplicity”, by J. Hodge et al., to appear in the Astrophysical Journal. The companion paper, “An ALMA survey of submillimetre galaxies in the Extended Chandra Deep Field South: High resolution 870 μm source counts”, on the multiplicity of the sources by A. Karim et al., will appear in the Oxford University Press journal, Monthly Notices of the Royal Astronomical Society. The team is composed of J. A. Hodge (Max-Planck-Institut für Astronomie Heidelberg, Germany [MPIA]), A. Karim (Institute for Computational Cosmology, Durham University, United Kingdom), I. Smail (Durham), A. M. Swinbank (Durham), F. Walter (MPIA), A. D. Biggs (ESO), R. J. Ivison (UKATC and Institute for Astronomy, University of Edinburgh, Edinburgh, United Kingdom), A. Weiss (Max–Planck Institut für Radioastronomie, Bonn, Germany), D. M. Alexander (Durham), F. Bertoldi (Argelander–Institute of Astronomy, Bonn University, Germany), W. N. Brandt (Institute for Gravitation and the Cosmos & Department of Astronomy & Astrophysics, Pennsylvania State University, University Park, USA), S. C. Chapman (Institute of Astronomy, University of Cambridge, United Kingdom; Department of Physics and Atmospheric Science, Dalhousie University, Halifax, United Kingdom), K. E. K. Coppin (McGill University, Montreal, Canada), P. Cox (IRAM, Saint–Martin d’Héres, France), A. L. R. Danielson (Durham), H. Dannerbauer (University of Vienna, Austria), C. De Breuck (ESO), R. Decarli (MPIA), A. C. Edge (Durham), T. R. Greve (University College London, United Kingdom), K. K. Knudsen (Department of Earth and Space Sciences, Chalmers University of Technology, Onsala Space Observatory, Onsala, Sweden), K. M. Menten (Max-Planck-Institut für Radioastronomie, Bonn, Germany), H.–W. Rix (MPIA), E. Schinnerer (MPIA), J. M. Simpson (Durham), J. L. Wardlow (Department of Physics & Astronomy, University of California, Irvine, USA) and P. van der Werf (Leiden Observatory, Netherlands).